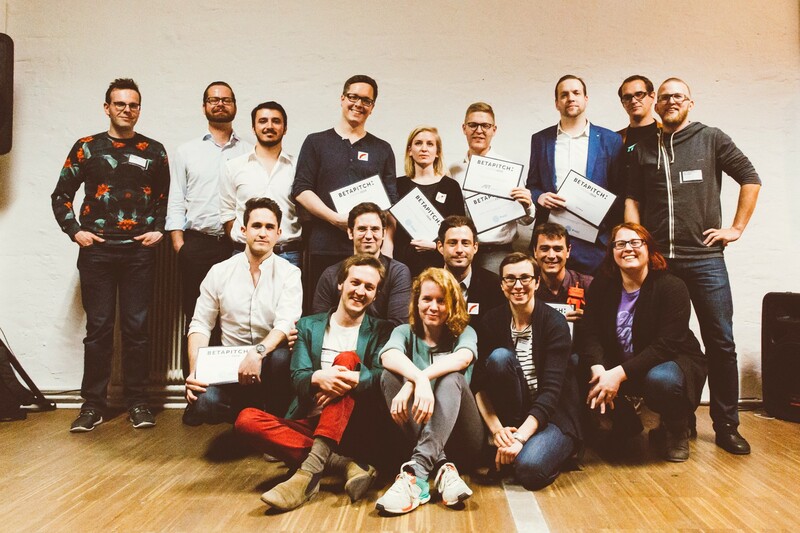 April 14th the 5th edition of the betapitch|Vienna startup pitching competition took place. Here’s (roughly) what happened. The World Population Project (population.io) holds the largest dataset of its kind, mapping every person in the world by age and estimating their life expectancy. If anything, population.io impressed with their team of University professors. Wolfgang Fengler elaborating on their business model, mentioned that population.io targets the $125B big data analytics and $80B personal health, smoking cessation & weight-loss markets. With over 2 million users all over the world, Bill Gates endorsing the tool and zero marketing budget spend so far, they might just have a shot at a piece of that pie. StoreMe (storeme.at), the self-proclaimed Airbnb for physical storage space, connects individuals who have spare space with people who desperately need extra storage space, for instance for their snowboards or winter tires. Traditional storage providers are offline, high priced and inflexible, StoreMe claims. Their business model is threefold, they charge an advertisement fee, are an insurance provider and can take care of transportation as well. So far they’ve listed 90.000m2, count 4.000 registered users and registered 35.000 clicks to their website. handcheque (handcheque.com), a smart card that allows you to store all your loyalty, gift and payment cards on one device, is designed to simplify your wallet. In their business model they charge for the product itself, plus a monthly fee at €9,99, modular transaction fees and they are looking to add additional packages. HandCheque already has MasterCard, WireCard and SIX Payments on as partners. The hardware charges with NFC & Chip’n’PIN transactions and else has a battery life of on average 4 weeks. Vienna Würstelstand (viennawuerstelstand.com) is a digital magazine and urban living guide. Its dedicated team of 3 — surrounded by a freelance network of designers, filmmakers, journalists and developers — is making the most out of Vienna… and life. With English-language workshops, their “Viennamade” design web shop, a digital marketing / creative ad agency, “Vienna me!” personalized profiles (at a yearly subscription fee) and an event agency they’re creating a diverse and exciting business model portfolio. Leichtgemacht (leichtgemacht.at) is Austria’s first calculator for comparing moving companies’ prices with instant results. Michael Schneider knows the problems people relocating have: there is a huge market of companies to search through, at different and at times nontransparent rates. The moving companies on the other hand have very little marketing knowledge. Leichtgemacht launched in beta in February in Vienna and are constantly adding more regions & partner services. SmartNinja (smartninja.org) is a coding school for beginners and advanced learners offering classes for a variety of coding languages. Launched in Slovenia in 2014, SmartNinja has been bootstrapping and… drumroll… profitable since day 1. In Vienna they have completed 4 of their 3 months web development courses to date. SmartNinja has employed a team and works with 40+ instructors on a freelance base. Their goal for 2016 is running 1000 students through their courses and connecting them to IT companies looking to hire. Prezi sponsored Pro accounts for their presentation tool for all finalists. StoreMe won 2 hours of UX/UI training at the AIT (Austrian Institute of Technology), who also sponsored the betapitch competition with delicious hot dogs and hot veggies. Vienna Würstelstand won three months at sektor5 for their team of three. Leichtgemacht.at claimed the €10.000 worth of advertising media budget, courtesy of Styria Ventures. And SmartNinja gets to go to Budapest and meet with prezi’s experts. Population.io won betapitch|Vienna and will get to represent Vienna at the global betapitch competition taking place in Berlin, October 15th. Population.io will also join the 5starts incubator on a wild card. Our adorable robot trophy went home with Wolfgang. 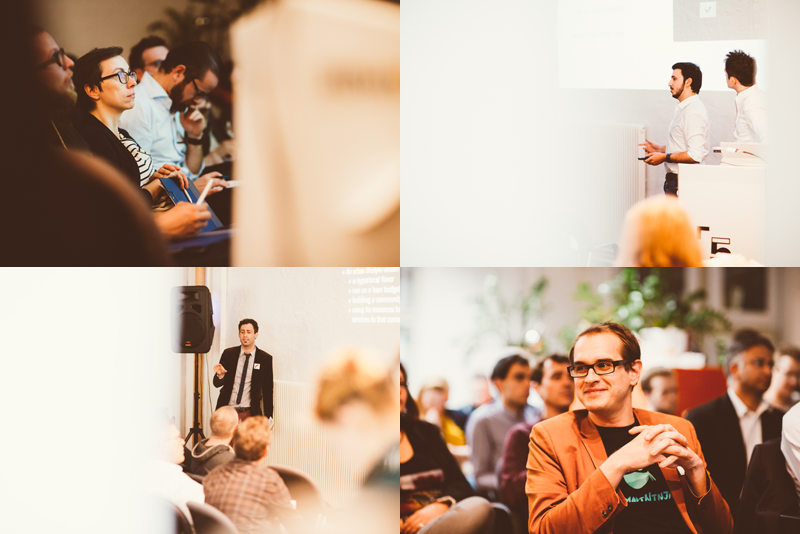 Yesterday’s pitches were exemplary for what Vienna has to offer and we are already looking forward to next year’s event. Thank you Gabriele Tatzberger, Bernd Gruber, Angelo Laub, Bernhard Thalhammer, Zoltan Radnai and Georg Kaindl for being a fantastic jury. Thank you Fritz Kola, Lemonaid and Big Smile for the drink sponsoring, AIT for the hot dogs and the Vienna Business Agency and ChillBill for the goodie bags. (by the way, dig deep enough and you’ll find a coupon for a free day at sektor5 in there). 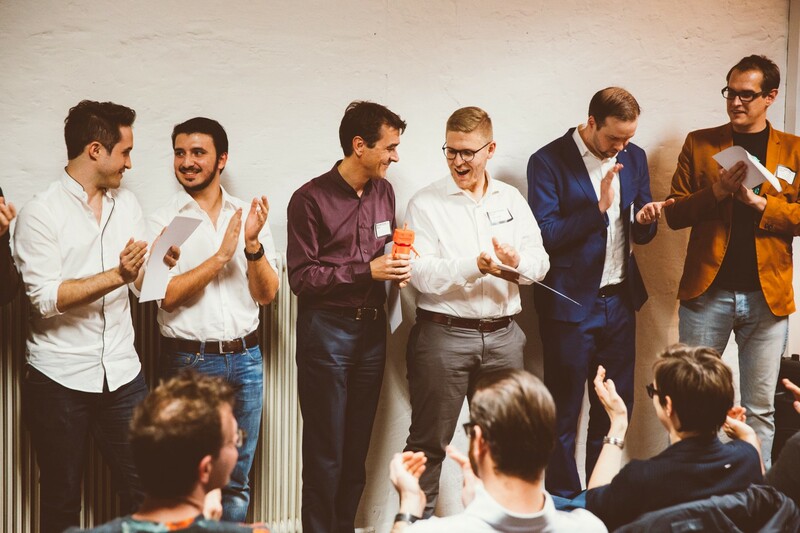 sektor5 hosted entrepreneurs in Vienna for 7 great years and now focuses on investment management of its alumni companies from the 5starts accelerator.